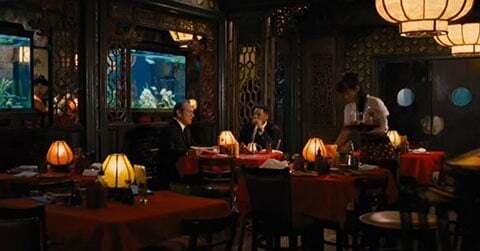 This is the plight NY location scout Nick Carr shares on his blog Scouting New York, because every time the script calls for a Chinese restaurant, every director has the exact same vision. They demand ornate woodwork, red wallpaper, preferably laced with golden touches of grand golden dragons. Paper lanterns are a must, as are roasted ducks dangling in the window. 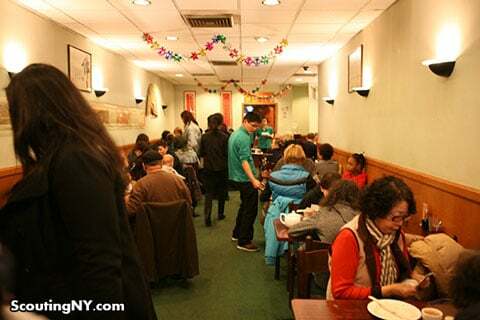 This is the Chinatown authenticity they crave! Except, Carr laments, this restaurant—represented below from Men in Black III screengrab—is a fantasy. On his blog, Carr shares a wide range of photos, including restaurants he thinks are great locations despite breaking from the typical Hollywood cliché, and you should definitely check them out as it's an fascinating insight into filmmaking in New York. But what's most interesting is his plea for directors to abandon these silly standards and choose something less typical but real over building something big and frankly outdated in its stereotype. Essentially, he wishes these filmmakers would commit to their desire to show New York for the marvel it is, instead of the caricature of it that movies have made.